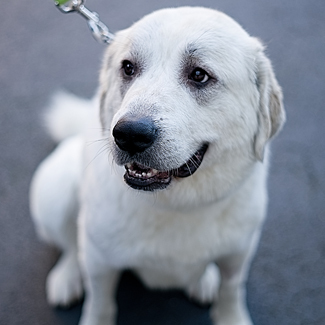 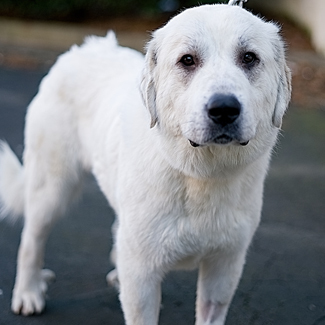 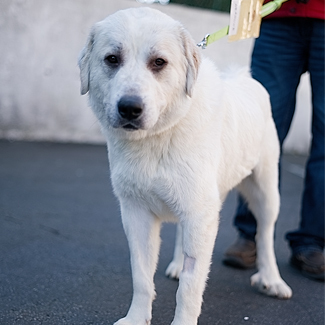 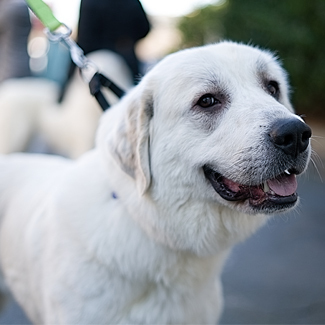 I’m Hermione, an 80 lb, 1.5 year old female who before the shelter, was wandering around Diagon Alley with my best Pyr friend Harry Potter. 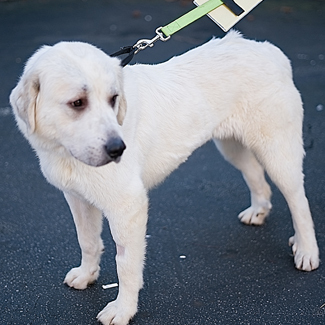 Somehow we magically apPYRated to GPRA and now I am practicing my “Accio Human” spell to summon a furever family for us. 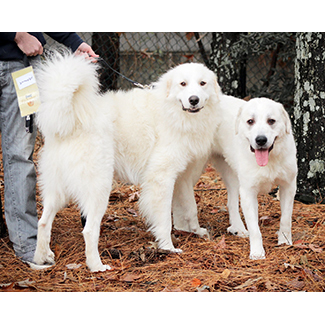 If you’ve been wishing for a pair of Great Pyrenees to fill your home with magic and love, please email info@greatpyratlanta.com or click the “Apply to Adopt” button below.